In this hyperconnected world, every company and even every department must shift how it connects to customers. For marketing in particular, success depends on delivering 1-to-1 experiences tailored to each customer. The hyperconnected consumer is armed with multiple devices every single day — and the opportunities are boundless to reach that customer in a personalised way. The massive shifts towards the Age of the Customer are indeed exciting, but also present numerous challenges marketing departments have never seen before. Here at Salesforce, we’ve been thinking about the customer for 17 years, and we’ve learned a thing or two along the way. 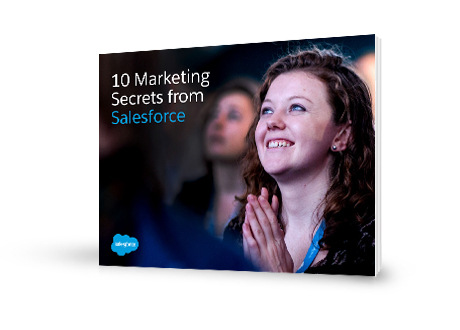 Download this free e-book for the 10 secrets that all marketing teams can benefit from to prepare for the big changes happening around us — and whatever comes next.